What do you do when you're bored? Specifically, what do you do during the fall when you're bored? Specifically on the east coast? GO APPLE PICKING. What do you do with an excess of apples? APPLE CIDER. 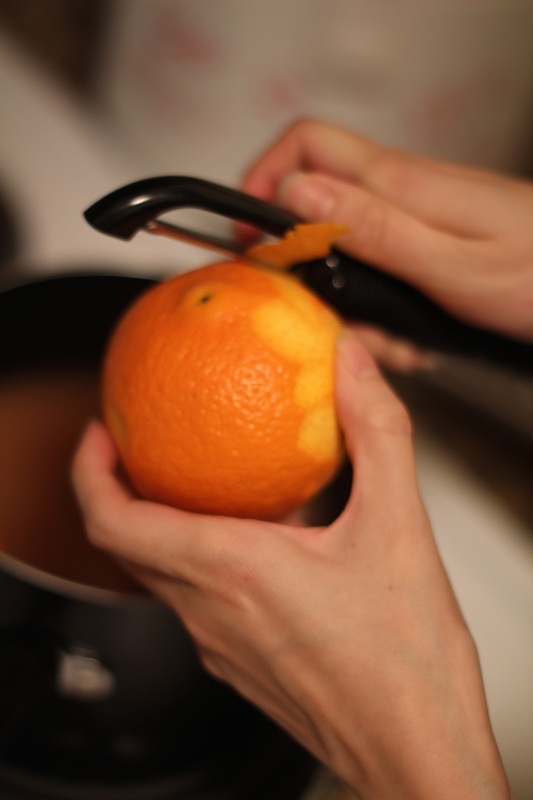 Honestly though, homemade apple cider requires pressing, pulping, juicing and cheesecloth. What I ended up doing was buying some gallons of apple cider from the Apple Farm and "twisting" their flavors later in my own kitchen. We had a little competition to see what flavor infusion/twist was the best tasting. I don't want to spoil the surprise, but we had four flavors of apple cider. I'm going to share two with you now and two next week, then reveal the winner. Sounds fun right? This is a recipe that we made up on our own, as I've always loved peppermint and forced everyone else to eat it even if they didn't. 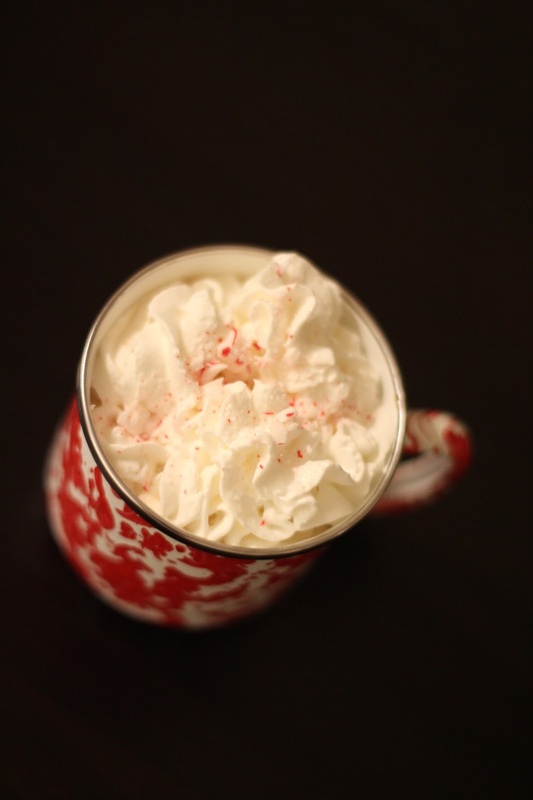 I think peppermint makes everything better: peppermint teas, peppermint bark, peppermint hot chocolates...why not add peppermint to apple cider? Originally, I wanted to add peppermint extract, but I feared that would be too strong. Adding candy canes and peppermints seemed like the best way to add the peppermint flavor without it being too overpowering. Heat on low until all the peppermints have melted down. I don't have a slow cooker, so I poured in the apple cider, dropped in the cloves, cinnamon sticks, and peppermint and then peeled the zest straight into the pot. I would have preferred a micro-grater, for decorative purposes, but using a peeler didn't turn out too badly. I personally don't like eating orange peel, so I picked it out before serving. For the final touch, I added whipped cream and sprinkled crushed peppermints on the top. Melted down, I genuinely enjoyed this apple cider. Usually it's too sweet or tart, but the peppermint added a nice clean aftertaste to the apple cider. The flavors didn't clash. Instead, the peppermint accentuated the apple cider and didn't make it overly sweet. 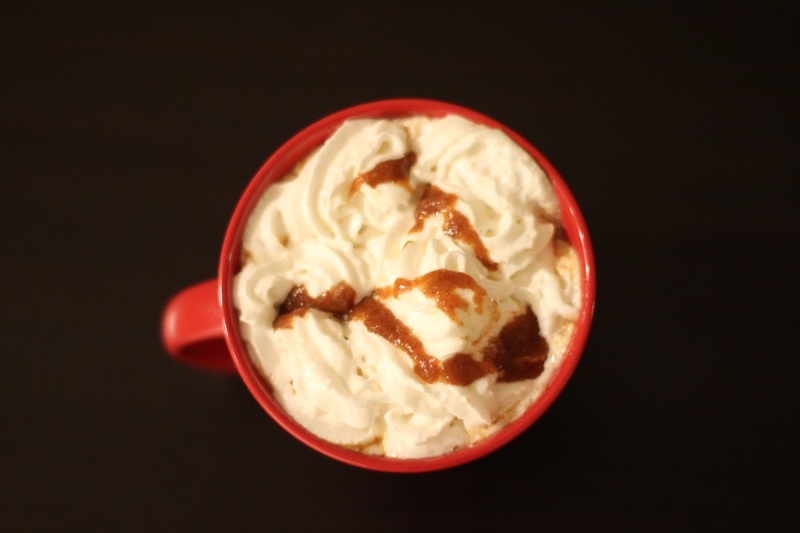 With all the hullabaloo about Pumpkin Spice Latte's coming back into season, my friend group thought this flavor combination was an easy twist to welcome in the autumn weather. It may sound unbelievable to you, but for the most part my friend group has never tried a pumpkin spice latte. We just like pumpkin pie. I used this recipe from the Tasty Kitchen to get our base formula down, but from there we made a couple of changes. Instead of white sugar I substituted brown, because I think it imparts a richer flavor to pumpkins, yams, and other members of the squash family. I also changed the measurements so that the recipe would accommodate a whole can of pumpkin puree. Although there was an excess of syrup, they made for good party favors to give away at the end of our little gathering. They can be gussied up further in cute mason jars and also make a great topping for ice cream! For an average sized mug I put in three tablespoons of the pumpkin syrup and poured in hot apple cider. I topped it off with some whipped cream and a little bit more of the syrup, but the discerning palettes of my friends said that the additional whipped cream wasn't needed. Personally, I couldn't taste the "pumpkin spice" flavor too much. All I got was the sweetness of the syrup. I think I would prefer it with vanilla ice cream! Stay tuned for part two and let me know what your favorite fall drink is!